Jamie Lipeles (Hawthorne) - Book Appointment Online! 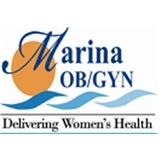 In January 2012, Marina Ob/Gyn opened its doors to a state-of-the art office in beautiful Marina Del Rey, California. The woman’s health center takes both obstetrics and gynecology to the next level. As you enter the front door, it feels as though you are entering a five star resort. With 70 inch flat screen televisions portraying the office name amid a backdrop that hints to the season, and another 60 television providing valuable health care tips, your short wait to see the doctor will be a memorable one. The office staff is extremely knowledgeable, pleasant, and the physician has bedside manner that is unmatched. Every effort is made to ensure that your experience at marina ob gyn is pleasant and comfortable; no woman leaves unless all their expectations are met or exceeded. He is absolutely the best OB-GYN I've ever had the pleasure of seeing. He is very understanding, and guided me through every step of the way. I highly recommend him to anyone who needs a new OB-GYN, in ALL of LA and the surrounding areas - he's worth the drive.